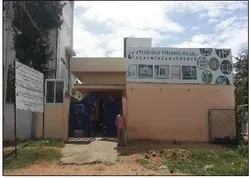 Established in the year 2011, we, AMD Overseas Impex India Private Limited, are one of the celebrated Manufacturers, Exporters, Importer, Wholesaler and Traders of a huge series of Windows Frame, UPVC Door, UPVC Window, Glass Window and much more. To make sure of the quality of our products, we use superior quality raw materials procured from our reliable and trusted vendors, and follow all the preset industry standards in the manufacturing process. Our window and door frames are quite popular in the market due to their weather resistance, advanced locking mechanism, low maintenance, ample ventilation, energy efficient and dustproof characteristics. 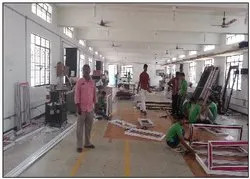 We have established ourselves on the basis of a world-class infrastructure that consists of advanced technology machines and equipment, which help us in the hassle-free production of the entire product range. To carry out all the operations efficiently, we are backed by a team of skilled professionals which makes sure that all the functions are carried out as per the industry guidelines. Our quality controllers conduct a series of checks to test the flawlessness of the offered window and door frames. We aim to attain complete satisfaction, so in addition to these excellent products, we provide tamper-proof packaging as per the customer’s specifications. We are a Private Limited Company with an unbeatable position in the industry under the mentorship of Mr. Mansoor Ali. His vast industry experience and magnificent knowledge of market trends have enabled us to achieve such heights in the industry in a very short time period. We have hired a team of experienced and skilled professionals, which is well trained to understand and meet the exact requirements of our customers and offer them solutions accordingly. Engineers, designers, rubber technologists, quality controllers, research and development analysts, sales and marketing personnel are the significant members of our workforce. Our expert team members are dedicated and focused to cater to the diverse requirements of customers while keeping the quality standards high. Quality assurance is one of the major factors that we take care while manufacturing our products. To ensure premium results, we use supreme quality raw materials that we procure from our trustworthy and experienced vendors and follow all the predefined industry guidelines throughout the production process. Before the final dispatch, our quality controllers carry out several quality assurance tests on the window and door frames to examine their durability, locking mechanism, energy efficiency and functionality. We are backed by a spacious infrastructure set up with a large number of machines and equipment that are tested from time to time to make sure of their operational fluency. In addition, we have divided our workspace in various sections such as manufacturing, design unit, research & development section, quality assurance, and others. Different sections provide an ease in carrying out all the operations in a hassle free manner. Our magnificent infrastructure is apt to produce and store bulk quantities to meet the diverse requirement of our clients. Apart from engaged in manufacturing and exporting, our organization also indulges in offering our clients with efficient and cost-effective solutions, which helps in the modern industrial requirements of our valued clients. We have a well advanced Design and Technical team, which helps us to manufacture custom windows and custom doors for our clients. Our design department keep constant eye on the latest consumer trends, market feedback and customer needs. We also offer our clients with Correct installation services, which is important for optimum performance. In addition, we provide our customers with "Concept to Completion" service, ensuring quality of products and a perfect fit at site. Noise and Dust Proof: Silicon sealing, multi point locks and non-conducting properties of make these windows noise and dust proof. More Sunlight, brighter rooms: Strength of windows allows Fenesta to make windows that are large in size, allowing more sunlight. Monsoon proof: The company has engineered a special windows for heavy torrential rains. Windows to withstand high wind speeds by imparting additional strength. Ventilation: Ease of use allows ample ventilation and sunlight in the house. Maintenance free and long lasting – These windows do not require paint or polishing and are therefore maintenance free. Saves Energy – These windows cuts air conditioning costs significantly. Our professionals strive hard to attain complete client satisfaction and to ensure the same, we follow all the industry guidelines and use quality grade raw materials while manufacturing the entire range of window and door frames. A team of quality controllers has been hired to test the flawlessness of the offered product, before handing over to the customers. Further, we provide tamper proof packaging, flexible monetary transaction facility and timely delivery of our products to cater to the varied requirements of our clients. Since our inception, we have been focused to understand and fulfill the diverse requirements of our valuable customers. We follow the strategy of blending the quality and price while attaining the goals of our organization and make sure that we maintain the reputed position that we have achieved.